These are all hacked. So, of course, don't use them in competitive battling. That's cheating. Have all 32 Gen III badges. Have full IVs (31) & EVs (255). Have full condition (Coolness, Beauty, Cuteness, Toughness, Smartness). You can only get three per week. Week 1: Choose three Pokémon. They're yours. No price. Week 2: I'll require one legit shiny Pokémon in return for the Pokémon I send you. Week 3: Ditto week two. Week 4: Two legit shiny Pokémon. 1) You know that it is legitimate (I will refuse to accept non-legit Pokémon, and not give you mine). 2) I do not already have a legit shiny of this species. As of right now, I have never caught a legit shiny sans the Gen II event Gyarados. Pity me. 3) It is not an event Gyarados. i would like a ho oh and a dusclops wat do u want for them? I may change my mind a later date, but.. Meh. Take them. Just give me some Bidoofs, or something. I've got a Nidoking, too, Kado. I'll send him your way. If Kadoking could add you FC to this page, please, and if Dedebird could let me know which FC I'm to use, that'd be great. I'll add up my Pearl FC when I'm next playing it. If you see me online here, then just send me a PM and I'll send them your way. Due to these being given away for next to nothing, I've decided to only give away 3 per person per week, to avoid one person from requesting them all. I've updated the first post to compensate for the Pokémon requested. Also do bear in mind that, if you're looking for a particular Pokémon, you can use the search feature Ctrl + F.
Whoa, where, may I ask, did you get all those hack'd pokemon? how do you hack a pokemon? 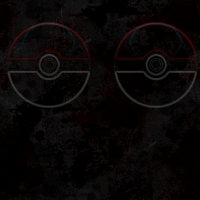 I bought a copy of Ruby version that had these Pokémon hacked on it. I'm afraid I can't ake requests, as a result. These are all I have, though I believe I have a source that I may be able to get some more from. And, so, I've decided to up the price a slight bit. The first three are free. Obviously, the game requires you to send me something. Whatever you don't want or need any more, something that's just taking up space, send it my way. I'm probably only going to release it. The next 6 Pokémon will cost a legitimately shiny Pokémon per set of three. I don't care what it is, so long as it is legit. The next 6 will cost two per set of three. Actually, I'll just go and update the first post now. Hang on. Not really. Most people will only ask for three Pokémon before they piss off, and then I'll soon be out of Pokémon before the pricing gets a chance to get any place high. Basically, I'll probably be giving away the majority for free.